Exactly which openings do you want to protect? Have you decided what kinds of shutters are best-suited for your application; rolling storm shutters, accordion shutters, a combination of both or a different alternative altogether? Have you decided if motorized shutters that deploy with the push of a button or manually operated shutters are best for your application? Have you checked with your homeowners insurance to see if you receive a discount for installing hurricane shutters that meet Texas Department of Insurance standards? Is the contractor(s) you request bids from registered with the Better Business Bureau? Do the shutter companies you are considering doing business with have a portfolio of work you can see for yourself? Do their products meet the Texas Department of Insurance Standards, or do they meet the far more stringent Miami Dade and Broward County High Velocity Hurricane Zone Standards? 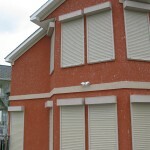 Are the shutters you are considering made of strong extruded aluminum tested to withstand hurricane force winds up to 185 mph for an extended period of time OR are they made of Styrofoam blades wrapped in sheet metal, which is an exceptionally poor choice for protecting your home? Does the quote include motors rated to lift the weight of the shutter curtain, or is the quote for smaller, cheaper motors that lower the price, but result in motor failure and expensive repair years sooner than would otherwise be the case? What is warranty on the motors? Does the contractor provide service after the sale? Shutters from John’s Shutter and Repair are made to exacting standards with strong extruded aluminum panels and high quality motors that will perform dependably and lift the weight of your shutters effortlessly for years. 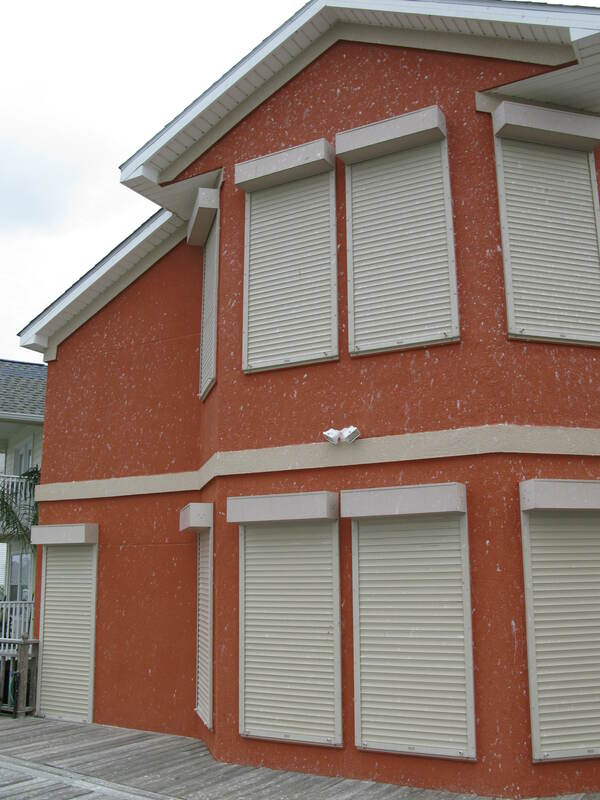 Accordion storm shutters and rolling hurricane shutters from John’s Shutter and Repair exceed all Texas Department of Insurance requirements and meet or exceed the far more stringent Miami Dade and Broward County Florida High Velocity Hurricane Zone Standards. Barring acts of God, all storm shutters, including motors, shutter curtains and shutter boxes have an unconditional two year parts and labor warranty. If anything breaks within two years, we come out and fix or replace it with no charge.